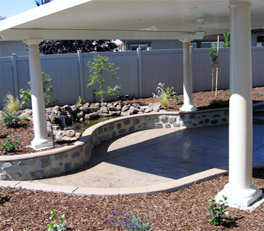 Give us a call to help you design your front and/or rear landscapes. 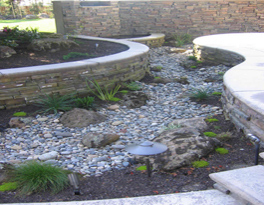 We we can help you select a low cost/low maintenance project that will save you in water and energy costs and still maintain a beautiful yard. 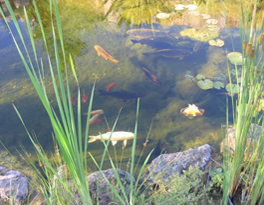 We specialize in installing all types of ponds and waterfalls. Contact us for a free consultation and quote. 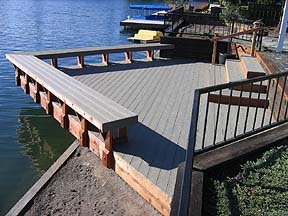 We do concrete patios, interlocking pavers, decks, custom walkways, stone work and more. 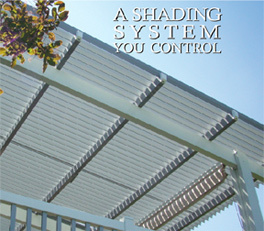 Our patio covers are available in 5 different colors, and can be built with many other custom features such as custom posts (columns), fans, lighting, etc.